Features offset handle for greater comfort and convex edges for smooth performance. 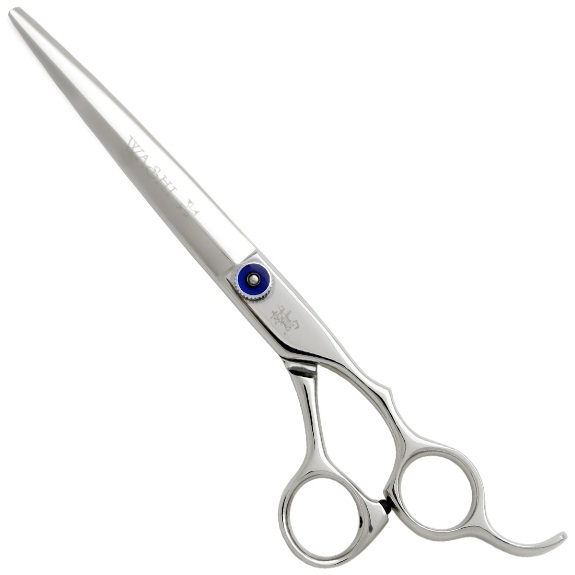 This 7.5 inch is a great shear for blunt cuts, bobs and scissor over comb. Features offset handle for greater comfort and convex edges for smooth performance. Made from Japanese 440C steel for longevity. Washi AX Ultimate Shears. #1 Seller!